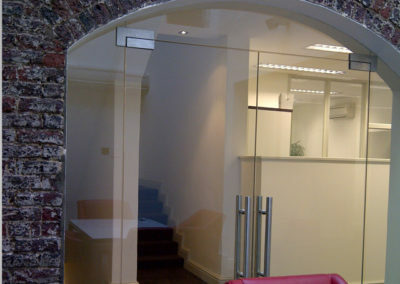 Create a classy feeling to your office or home entrance with our Hinged Frameless Glass Doors. 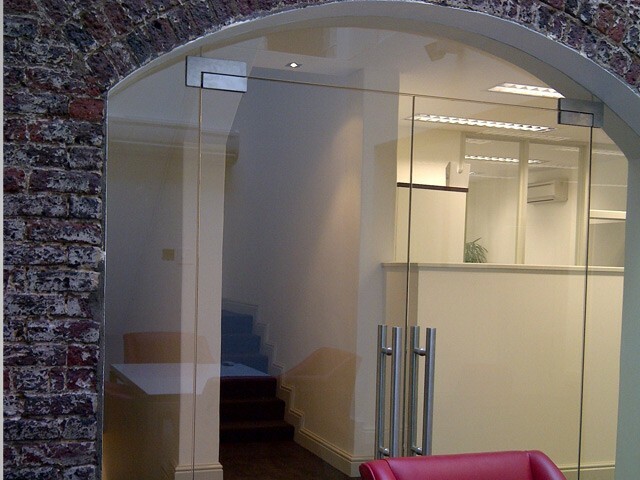 The hinged frameless glass door will enhance the perception of space and depth of your living or office space. A wide range of hardware is available to suit your needs. 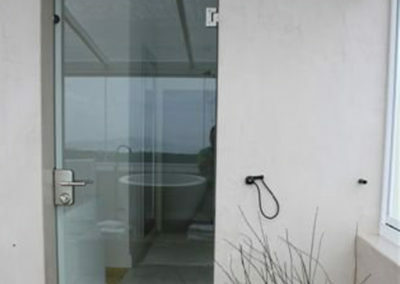 Pneumatic hinges, magnetic locks, artistic handles, security locks. 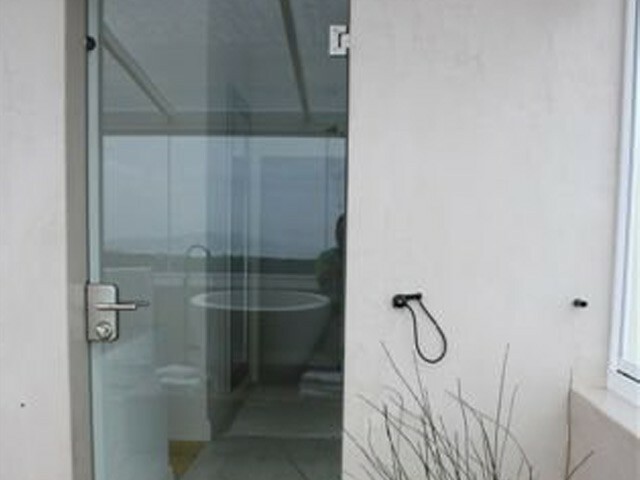 To enhance the aesthetic appearance, any form of vinyl can be applied onto the glass door.